Five years after much of downtown Calgary was under water, there are patches of what look like park land lining the Elbow River in the southwest neighbourhoods Roxboro and Rideau Park. Birds chirp and flit through the immaculately kept grass, and tree branches sway in the wind. 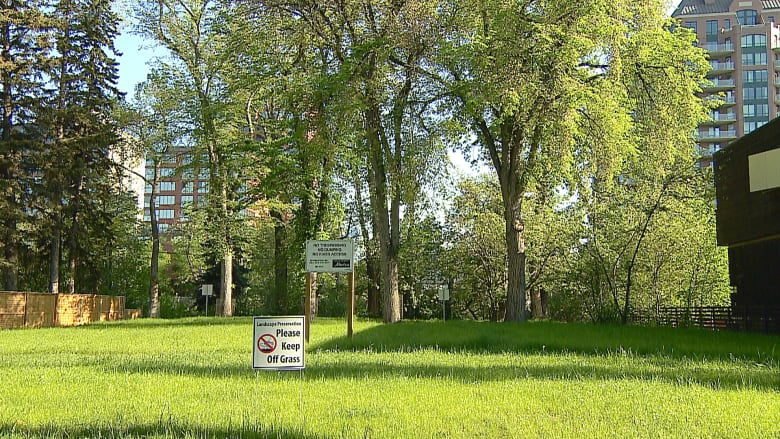 But, you won't see picnickers or people out walking their dogs, thanks to the big signs cautioning people to stay off the grass and informing them the land is owned by the Province of Alberta. The lots are six of dozens bought by the province as part of its floodway relocation program. 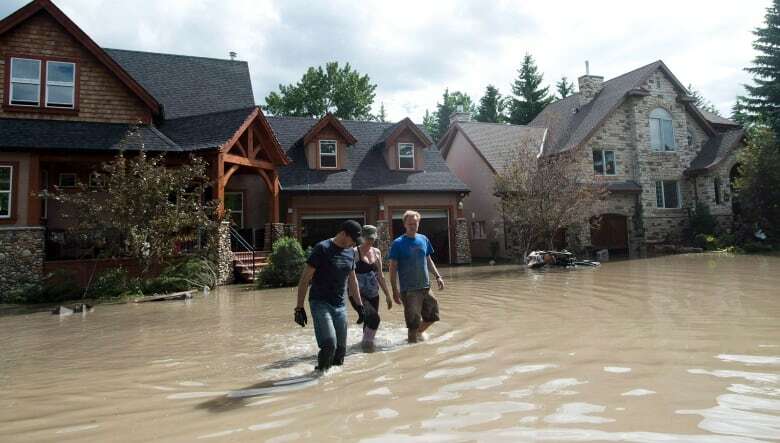 Alberta spent approximately $99.3 million to purchase 94 homes that were at risk or damaged, and located in a designated floodway. "I think it was a ridiculous investment for the province, and I think one of these houses they bought for $7 million. You're not going to get those real estate values, I think, probably ever again in Calgary. Nobody's going to spend $7 million on a lot. That's a lot of tax dollars down the toilet," said Roxboro resident Monique Beaumont, who lives next to one of the now empty lots. The homes in Rideau Park and Roxboro were torn down in 2016, but the lots are still cared for, with the grass being mowed in summer and the sidewalks shovelled in winter. Beaumont's 100-year-old home flooded along with most of her neighbours, but she chose not to accept the buyout, instead choosing to renovate and fix up damage caused by the disaster. "Essentially what they've said is it's too dangerous to live here," Beaumont said. The option was available to anyone who lived on the floodway. Those who chose not to accept it had to undertake some flood-proofing measures, or they won't be eligible for future disaster assistance. Beaumont said she had friends in Bowness who experienced more significant flooding, but didn't receive the same offer as they weren't designated as being in a flood hazard area. "It doesn't make any sense to me that my house might be in the floodway and three houses west of me are not. I know there's some sort of engineering idea behind this red line but from a point of view of somebody that lived through it, it doesn't make any sense. 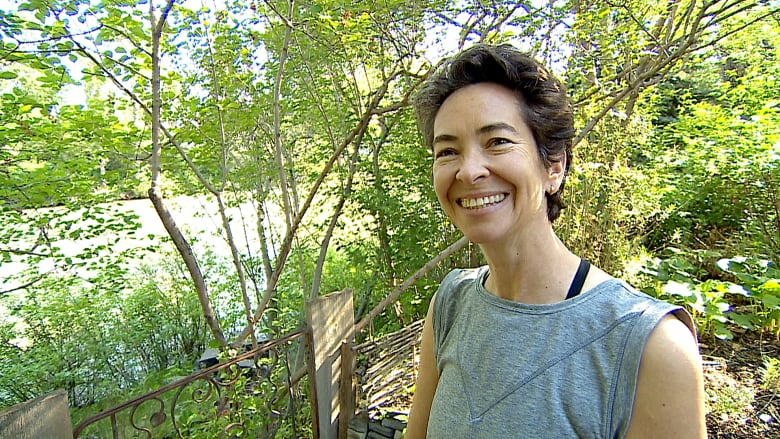 The water was no higher or faster here than it was a block away from the river," she said. "The buyouts in particular accomplished nothing except empty lots." The government said it expects to spend $80,000 in maintenance cost on Calgary floodway properties in the 2018-2019 fiscal year. Since then, one of the lots located on the floodway, but not sold as part of the buyout, has been purchased by a developer. A new home might soon be built on the floodway, but it will have to follow a specific set of guidelines set out in the City's land use bylaws. "If you walk and look at some of the houses that have been built, they're really high. They start six feet off the ground," Beaumont said. And in the meantime, the other lots on a street filled with some of the city's most high-end real estate sit empty. Meanwhile in High River, one of the regions hardest hit by the June 2013 flood, the province is finally preparing to remove homes located in the floodway that the town was unable to sell at auction — homes that were sold went for between $7,700 and $40,000, but the winning bidders had to relocate them out of the neighbourhood on their own dime. "I think there was frustration from the community," said town Coun. Cathy Couey, adding that some residents saw the lack of progress on getting the homes torn down over the past five years as a "reminder of what happened." The bulldozers are finally set to roll in July. 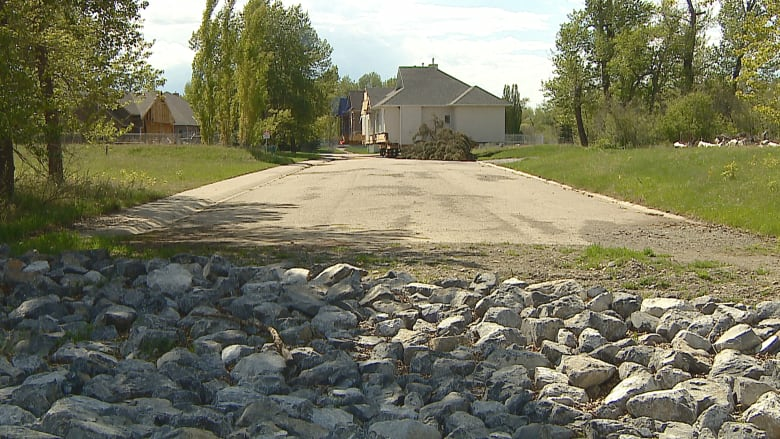 While the High River homes won't be rebuilt — the road into the Beachwood neighbourhood is blocked off by a berm to prevent future flooding — Alberta Infrastructure said in a statement they hope to resell and develop the six Roxboro lots in future, as they work on flood mapping and mitigation. "Ultimately, it will be up to experts to determine if and when this area is sufficiently protected by mitigation measures, and I don't want to prejudge the decisions of experts. If it is determined safe to return these homes to residential use in the long-term, and that is what the community wants, then that is what we will do," the statement read. The city and province are still hoping to get the Springbank reservoir project built, which is intended to protect homes along the Elbow River from a repeat of 2013. But the project has faced significant delays due to opposition from landowners. Construction is slated to start in 2019 and be completed by 2022. Beaumont said rather than seeing the province continue to maintain the empty lots, she'd like to see money go toward mitigation. "A better solution would be, I think, to do the upstream work they need to stop this from happening again."